Serving the community of Falkirk when you need us most. How we can help today? 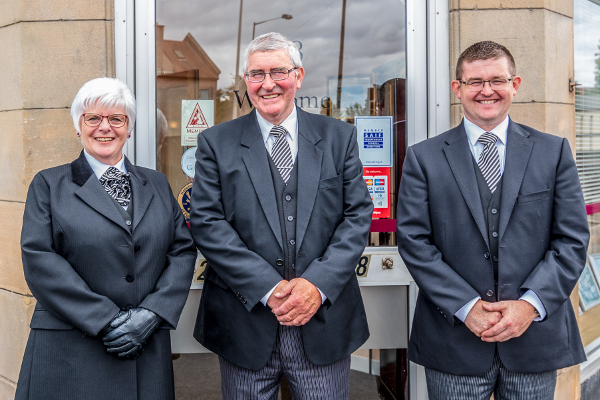 Serving Stenhousemuir, Falkirk and surrounding communities Donald Cowan Funeral Directors were established in 2006, we are an Independent and Professional Funeral Company providing a courteous, caring and compassionate 24 hours service to our clients at all times. Bereavement can be a time of family or personal crisis, we understand and are respectful of your feelings. We are experienced in helping at such times. Pre-paid funeral plans are growing in popularity. They allow you to cost effectively remove the financial worry of a funeral from your family. When choosing a Funeral Director, do you know who you are dealing with? In general, the majority of consumers are still unaware that many Funeral Directors are not owned by the person whose name is displayed above their premises. Often local personnel manage these businesses whose ultimate owners can be large conglomerates. 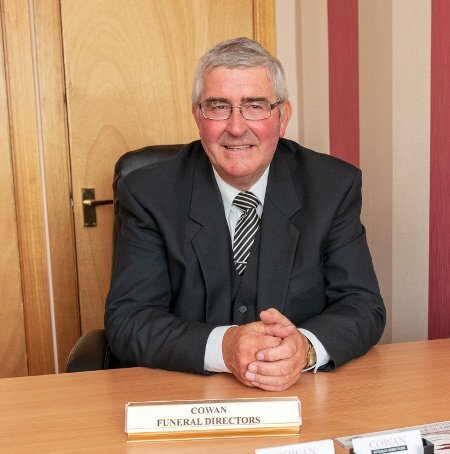 This company, Donald Cowan Funeral Directors Stenhousemuir Falkirk is truly independent being both owned and run by Donald Cowan. 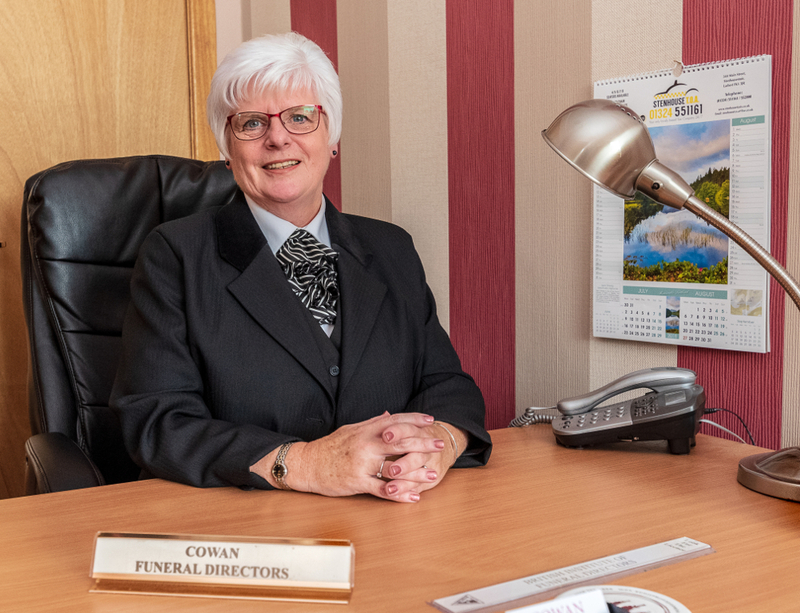 I am proud to be Stenhousemuir’s longest established, Independent funeral business. The transparency of ownership of a business is enforced by “The Consumer Protection from Unfair Trading Regulations of 2008. Consequently, the true ultimate ownership of a business must be conveyed to a consumer before he makes a transnational decision. 9am - 4.30pm. You may contact us 24 hours. We would like to thank Donald and Evelyn for the sympathetic and professional service you provided during a very personal and emotional time. We would have no hesitation in recommending you to family and friends when the need arises. Thank you for your kindness and caring approach guiding me through a very difficult time. The sentiment is huge – thanks to you both! Everything was done with a lot of thought, care and kindness. Donald and Evelyn a very special thank you for all your help which was very much appreciated. 9am – 4.30pm. You may contact us 24 hours.